Many years ago now, when DigitallyDownloaded.net was itself a pretty new site itself (2012), one of the first games that I really got hooked on, in the context of what I was doing with the site, was a humble little iOS tactics game called Call of Cthulhu: The Wasted Land (you can read an embarrassingly early review of that game here). In that review, I wrote "If there’s any justice in the world, Call of Cthulhu: The Wasted Land will be the start of a SRPG franchise that will rival Fire Emblem and Final Fantasy Tactics." Sadly that didn't happen, but people involved with its production are back with a second crack at the Lovecraftian tactics game: Achtung! 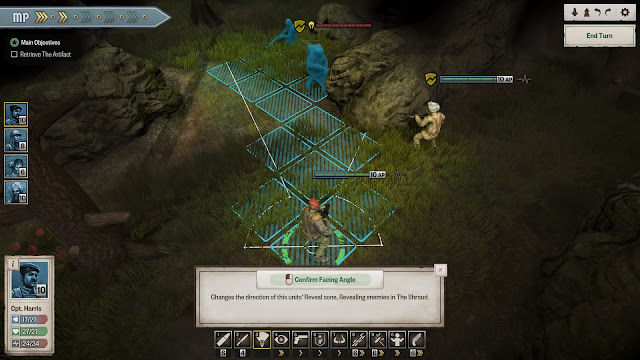 Cthulhu Tactics. The similarities between the two titles are quite impressive, really. Both can be approximately summarised as "Lovecraft meets XCom", and both feature a mix of Lovecraft's eldritch horrors, and the Germans, as the principle enemies. The only narrative difference is that where The Wasted Land was set in World War 1, Achtung! 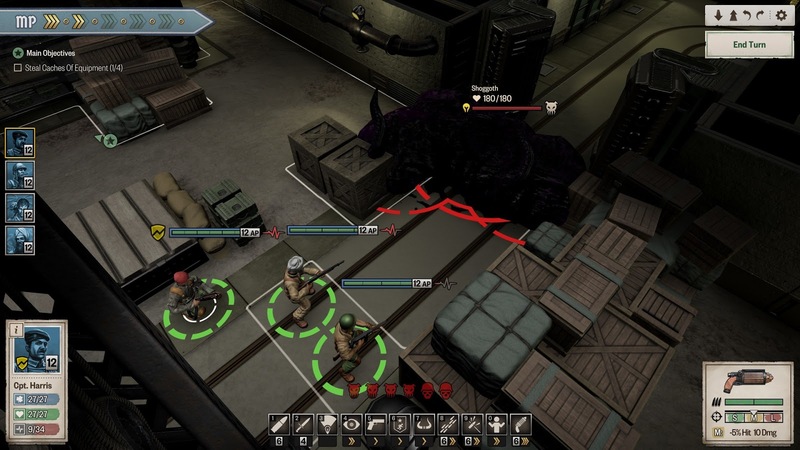 Cthulhu Tactics uses World War 2 as the backdrop for the action. The mix of Nazi Germans and Lovecraftian monsters is not a random pairing. The Germans are here as the enemy because, firstly, they fit thematically, since what Germany did in that war was nothing short of genuine horror, filled with all the dark stories that are all-too-easy to pair with stories of the occult. Further to that, the Nazi party is well known to have actually practiced occult beliefs, and while the historical accuracy of this is very questionable, it nonetheless explains why, over and over again, we see stories that link the Nazis with dark rituals and unspeakable horrors (from Indiana Jones, to Hellboy, Captain America, and so on). Lovecraft's own stories (at least, in my memory) never actually link the cosmic monsters to the Germans, but that legendary background is why the two forces of evil allow a game like this to be consistent in tone. Of course, the narrative is a pure fabrication, and there is absolutely no attempt whatsoever in the context of Achtung! Cthulhu Tactics to link any of the events in the game to real events in history. That's for the best, because World War 2 gets spun into enough inappropriately "entertaining" games and films already, and in veering clear of doing that, Achtung! comes across as a work of delightfully nonsense B-grade caricatures, much like its mechanical inspiration - XCom - treats the idea of an alien invasion. The structure of Achtung! Cthulhu Tactics plays out just as you'd expect. You've got a small team of soldiers, each with different weapons and skills, and in each mission, you need to navigate a gauntlet of battles on the way to a final objective. Between battles you're free to roam (not that there's much to do beyond point your characters in the direction of the next battle), and because there are multiple battles in any given mission, you need to be clever about how you approach them; characters have a "luck health" bar, from which damage is taken first, and that's replenished between battles, but if further damage is done in a battle, health damage isn't recovered until the end of a mission. This can make missions feel a little like a war of attrition at times; particularly on the higher difficulty settings. 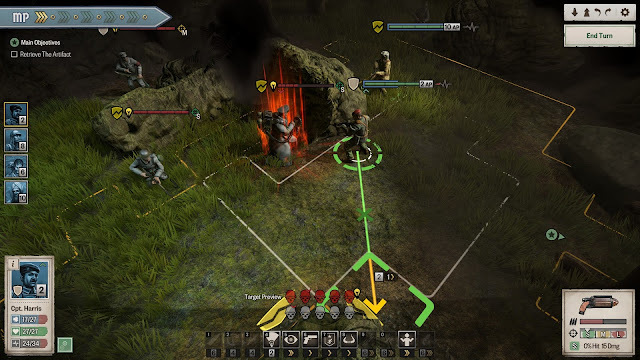 A single battle is relatively lacking in challenge, not least because the AI is prone to making strategically unsound decisions, but it's the fact that you need to also try and come out of that battle without your characters being harmed at all, because you're not sure if additional battles wait ahead where the challenge lies. Over a number of battles, death by a thousand small cuts is a very real possibility. Unfortunately, because the game is so reliant on luck, having a system where "small scratches" at the start of the mission make later battles all the harder comes across as downright unfair at times. Every attack, either from your side, or the enemy's, has a percentage chance to hit, just like in XCom. The nature of probability, however, means that a bad run can really ruin your day, and there's not enough you can do to improve your odds, particularly in the early stages. More than once I had to load up old saves, not because my tactics were inferior, but because a sequence of terrible "dice rolls" decimated my squad. Yes, it's quite possible that I'll miss five attacks in a row that have a 65 per cent chance of hitting an enemy that's one hit away from death. And yes, it's entirely possible that he'll then land a critical hit on my soldier in return and kill them outright. It's possible, but it still feels downright unfair and frustrating. I love tactics games like Achtung! and XCom, but I've never liked the way they rely on virtual dice rolls, and I think that modern board games, role-playing games, and video games (Achtung! itself being based on a board game), should be looking to strip randomisation out of their systems in order to better concentrate on the smart use of tactics. The likes of Fire Emblem or Final Fantasy Tactics, which tend to assume that you're going to hit unless you do something stupid (like attack with a poor match-up), or your opponent does something really smart (like use an ability to improve their evasion rates), are much better at replacing randomisation with skill, and while those games can still be plenty difficult, I find them much less frustrating, even when I have to reload a level over and over again, because I know that ultimately the failures are on me. With that being said, Achtung! really is an appealing little game. The aesthetic is spot on, and the sense of escalation is brilliant. You go in knowing that you're eventually going to come up against the most intimidatingly horrific monsters you've ever seen in an "XCom clone," but you also don't know exactly when that's going to happen, because in the early stages you're squaring off against standard German goons. That sense of suspense in building up to the inevitable, and then wondering how much worse it can possibly get, is a reason to keep driving through Achtung! all in itself. 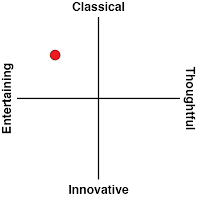 The range of skills is really enjoyable, too. It's not just the Germans that have occult powers - your side blends together weaponry and combat skills from the era with more magical tricks as well. Battlefields tend to come together nicely too, with just enough room to manoeuvre and out-flank without being so large that they feel unwieldy for what are essentially skirmishes between small units of soldiers. I've never played the base game that Achtung! 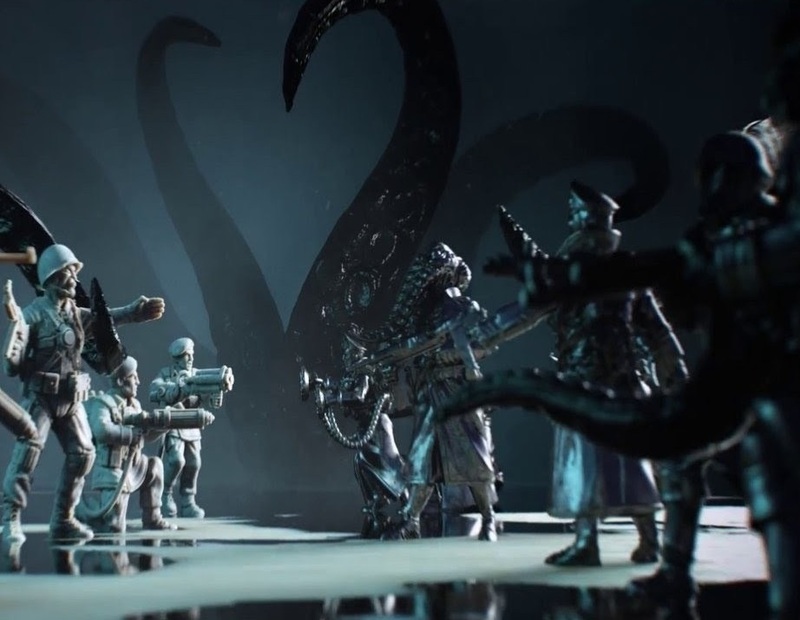 Cthulhu Tactics is based on, but I'm quite impressed with the depth on offer. It might be let down by sheer bad luck overriding your best plans from time to time, but there's still some great skill trees to mess around with anyway. The gameplay systems also do a good job of reflecting the sheer horror of the situation. Lovecraft's core philosophy with his horror writing was that his monsters were so otherworldly, alien, and menacing, that the very sight of them would be enough to break a person's psyche. Most of Lovecraft's stories don't properly describe the monsters. Rather, the horror is built by the stories telling you just how insane the narrator has gone after seeing the monsters. Obviously, that narrative technique doesn't work with a game like this, but mechanical systems around stress and the need to carry liquor into battle so your characters can take a quick swig to dull their minds to what they're witnessing does give Achtung! 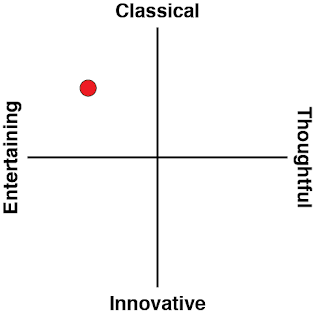 a very different tone to its genre stablemates. As a fan of Lovecraft's blend of horror, I love what Achtung! offers - enough so that I've been more than willing to play through the occasional frustration of those virtual dice rolls to keep pushing on. The rich setting deserved a little more than an endless sequence of mission briefings and battles, perhaps, and I was itching for a greater sense of narrative and character direction than what I got, but between this and the recently released Call of Cthulhu adventure/horror title from Cyanide and Focus Home Entertainment, it's been a really good patch for Lovecraft fans with video games.